Stuart McCarthy joined the Australian Army in 1988. 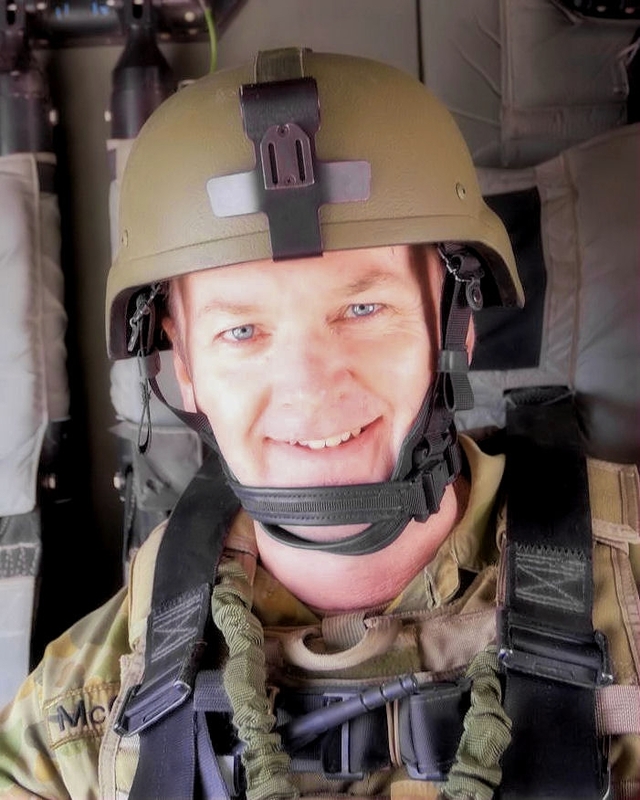 Since graduating from the Royal Military College – Duntroon in 1990, his diverse career has included a wide variety of roles in Australia, the Asia-Pacific, Africa, and the Middle East, including extensive operational service. His early career as an engineer saw him employed as a troop commander, squadron second-in-command, junior staff officer and instructor, culminating in a posting as the Adjutant of the School of Military Engineering. In 1999 he deployed to Bougainville, Papua New Guinea, as the commander of a multi-national patrol in the Peace Monitoring Group. Having lived in Bougainville as a teenager, the opportunity this deployment provided for him to contribute to the peace process in his assigned districts made this the most rewarding experience of his long career. “When Dr Nasveld arrived at our team site in Bougainville we were gathered together in our common room for his briefing. We were a captive audience. Nasveld was both a senior Army officer, outranking every other member of the team site, and a military doctor – someone we believed we could trust with our health. He gave us his sales pitch about his new wonder drug. Tafenoquine was being trialled for terminal prophylaxis, at high doses. The comparator drug was primaquine, the slightly less toxic quinoline that was already being used by the Australian Defence Force. Dr Nasveld’s main sales pitch was that the tafenoquine course only needed to be taken for several days, compared to the primaquine course of two weeks. Given that you’re not supposed to drink alcohol while taking either drug, his main pitch was that if we used tafenoquine we could “get on the booze” much sooner when we arrived home. As a 29 year old, this sounded pretty good to me so I “volunteered” for the trial. We were also informed that tafenoquine was in use in the US military, which I later discovered was a lie. McCarthy’s next operational deployment occurred in 2001, when he spent six months as the deputy force engineer in the United Nations Mission in Ethiopia and Eritrea. During this period he was prescribed mefloquine, and experienced a variety of adverse side effects including depression. As is the case with many military personnel, he was unable to clearly distinguish these from the stresses of the operational environment in the demanding peacekeeping mission. When he experienced an episode of what he describes as mild suicide ideation however, he stopped taking the drug and, as per the advice from the manufacturer, assumed that there would be no long-term side effects. On his return home to Australia, McCarthy experienced severe depression, was unable to attend his new posting and was charged for absence without leave by Lieutenant Colonel Marcus Fielding. Although the charges were eventually dropped, this episode effectively ended his prospects for future promotion. Despite recurrent major depression and other debilitating neurological symptoms that he now realises are the result of the undiagnosed neurotoxic brain injury he sustained in 2001, McCarthy continued to serve in the Army for a further 16 years. His postings in Australia included executive officer of the largest engineer regiment in the Army, and he completed operational deployments to Sumatra in 2005, Iraq in 2006 and Afghanistan in 2011-12 and 2013. When he sought further treatment for depression in early 2014, he discovered the published research on mefloquine neurotoxicity that finally explained his chronic condition. Naively, he presented the relevant papers to his doctors but these were ignored. In a practice condoned by ADF Surgeon General, Rear Admiral Robyn Walker, he was sedated with an off-label use of the anti-psychotic drug Seroquel. Later, on the advice of his doctor, McCarthy’s Commanding Officer Lieutenant Colonel Amanda Johnston informed him that he had to “climb out of his hole.” After repeated requests for referral to a neurologist, he received an initial consultation from Dr Miriam Welgampola, who then refused to take his case on the basis that he would be entitled to make a claim under the Veterans Entitlements Act. 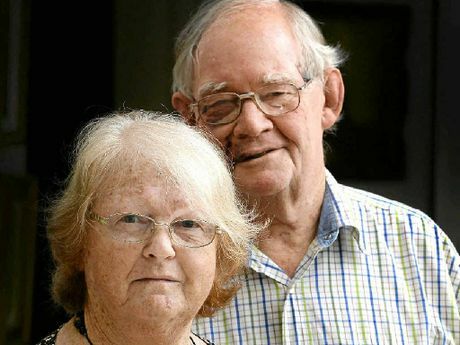 He was then referred to Dr Phillip Cremer, who informed him that his neurological symptoms are psychosomatic and referred him to a psychologist for counselling. Like most other mefloquine veterans, he managed the symptoms of his permanent brain injury by himself, without acknowledgement, medical support or rehabilitation, unable to trust any doctors in the corrupted ADF medical system. In response to this experience he drafted an outreach program for Australian veterans affected by mefloquine neurotoxicity and pursued this without success through several avenues. He eventually raised the proposal with the Australian Defence Force’s Director of Military Medicine, Colonel Leonard Brennan, who told him portentously “I wish you the best of luck going forward but suspect that you will be frustrated.” McCarthy later discovered that Brennan was directly involved in conducting the 2000-2002 unethical mefloquine and tafenoquine drug trials in Timor Leste. Shortly thereafter, in the first indication of the corruption that he later discovered has run rampant in the Australian Defence Force medical system for at least two decades, he was formally threatened with disciplinary action. Yet despite having had no medical training and experiencing the cognitive impairment of his brain injury, some of the research that McCarthy has undertaken in order to overcome this institutionalised corruption has since been published in medical-scientific journals. “I will commence with a statement, and certainly it would be good if Dr Quinn were given a chance to make a statement as well. We are here to address the committee on the health impacts of the neurotoxic antimalarial drug mefloquine on ADF personnel. You may be aware that last week the Vice Chief of the Defence Force, Vice Admiral Griggs, publicly attacked my credibility for the so-called unsubstantiated claims in my original submission to this committee. If Vice Admiral Griggs was here, there are three falsehoods that I suspect he would try to tell you about his favourite suicide drug, mefloquine. The first is that this is a non-issue because so few ADF personnel are currently taking it. The second is that prophylactic use of mefloquine is perfectly safe. And the third is that the drug is not causing long-term harm. I am going to dispel each of those three falsehoods in a moment, but first I will give you some context. “As you will have read in my submission, mefloquine is one of a family of drugs—synthetic quinolines—that have been well-known for their neurotoxic properties since the 1940s. Mefloquine specifically was developed by the US military through the 1970s. The drug was initially tested on prisoners, soldiers and people in Third World countries, with the results of those trials being given to Roche as a free good. You will recall that Roche pays about 1c in the dollar in tax in this country. Mefloquine was inexplicably approved by national drug regulators in the late 1980s and the early 1990s, including the Therapeutic Goods Administration, in the absence of the necessary phase III clinical trials. Throughout the 1990s the drug caused such widespread harm that towards the end of that decade Roche wanted it withdrawn from the market. That is already on the public record. “Enter Timor-Leste and the Australian Army Malaria Institute in 2000 to 2002. The AMI has been directly involved with the development and research of this drug since at least the 1980s, in close cooperation with the US military and Roche. Vice Admiral Griggs may wish to play down the number of ADF personnel who have taken this drug with deceit about pharmaceutical records. It took me about two minutes to find mefloquine on my record from 2001, simply by asking my pharmacist. But let me explain the real issue when it comes to numbers. When the AMI conducted its unethical mefloquine clinical trials in Timor-Leste in 2000 to 2002 and cooked the books to falsely portray mefloquine as a safe drug, that safety recommendation from the ADF became the basis for the drug’s continued use by many, many hundreds of thousands of coalition troops, possibly in the order of a million the world over. These men and women are our allies, and we lied to them—just as Vice Admiral Griggs is now. “Since then, this neurotoxic drug has been linked to multiple murders and multiple war crimes—for example, the murder of 16 Afghan civilians by a US soldier experiencing a psychotic episode in 2012. Then there are the countless suicides, among them Major Cameron Quinn, the late husband of Dr Jane Quinn. He took mefloquine in 2001, around the same time I did, and took his own life in the family home five years later. These many, many preventable deaths are the tip of the iceberg. Let’s talk about the rest of the iceberg: a legacy of chronic debilitating illness affecting tens of thousands, if not hundreds of thousands, of allied and Australian veterans, including psychiatric disorders. Psychiatric disorders include anxiety, depression, mood swings, panic attacks, confusional states, hallucinations, aggression, bipolar disorder, psychotic disorder, delusional disorder, depersonalisation, mania, paranoia and suicidal ideation. Neurological disorders include dizziness, vertigo, tinnitus, hearing loss, balance disorder, somnolence, syncopy, convulsions, memory impairment, neuropathies, encephalopathies and vestibular disorders. The list goes on and on. “Vice Admiral Griggs cannot wash his hands of this, try as he might. The ADF caused it, to our eternal shame. The AMI and the authors of those drug trial reports—among them the ADF’s director of military medicine, Colonel Leonard Brennan—bear direct responsibility for those deaths and the legacy of widespread chronic illness among coalition troops. Mefloquine was found conclusively to be neurotoxic in 2006. Concerns had been raised about neurotoxicity years before then. The researchers who made this finding in 2006 wrote that the drug causes lesions that are ‘permanent in nature’ in parts of the brain linked to the above disorders. These lesions resulted from mefloquine concentrations equivalent to those found in post-mortem examination of soldiers who had been taking prophylactic doses a decade earlier. Vice Admiral Griggs’s two falsehoods about dosages and chronic illness were dispelled a decade before he even started using them. “Then what happened? Was their help for those affected? No. There was a decade of lies, denial, deceit and cover-up. For those who did try to help, there were threats, intimidation and abuse. The negligence of the senior leadership of the ADF in this scandal is breathtaking. There was a complete lack of oversight of the AMI for decades. The ADF’s health system, which is supposed to provide for the health care of our 50,000 men and women in uniform, was instead co-opted to do the dirty work of the pharmaceutical industry—right under their noses. More recently, the previous Chief of Army, General Morrison, and the current Chief of Army, General Campbell, have both ignored repeated requests for help. Their integrity is now in question, just as vice Admiral Griggs’s integrity is in question. During the latter months of 2015, McCarthy was instrumental in establishing the International Mefloquine Veterans Alliance, in order to expose the systematic negligence and corruption that has lead to the deaths and widespread chronic illness among coalition veterans to which he referred in his testimony. His efforts to date have uncovered a corruption scandal of historic proportions, involving not only widespread medical negligence, but systematic human rights violations and cover-ups involving some of the most senior officers in the Australian Defence Force. After a two and a half year fight with the Australian Defence Force medical system, in January 2016 McCarthy was diagnosed with an acquired brain injury and he is undergoing a rehabilitation program for this condition. He was medically discharged from the Army in March 2017. “They have refused point blank to acknowledge that Mefloquine is a problem. They say because it is not a problem there is no issue. I would sincerely like to see a judicial inquiry held into this matter because it is the only way the ADF will be held to account. The ADF are not interested in helping the soldiers, they are only interested in protecting the now high-ranking official who ordered them to participate in [unethical drug trials]. This entry was posted in Advocacy, Media, Our Stories, Research and tagged Courage, Coverup, Leadership, Media, Mefloquine, Military, Mistreatment, Personal Account, Veterans. Bookmark the permalink.